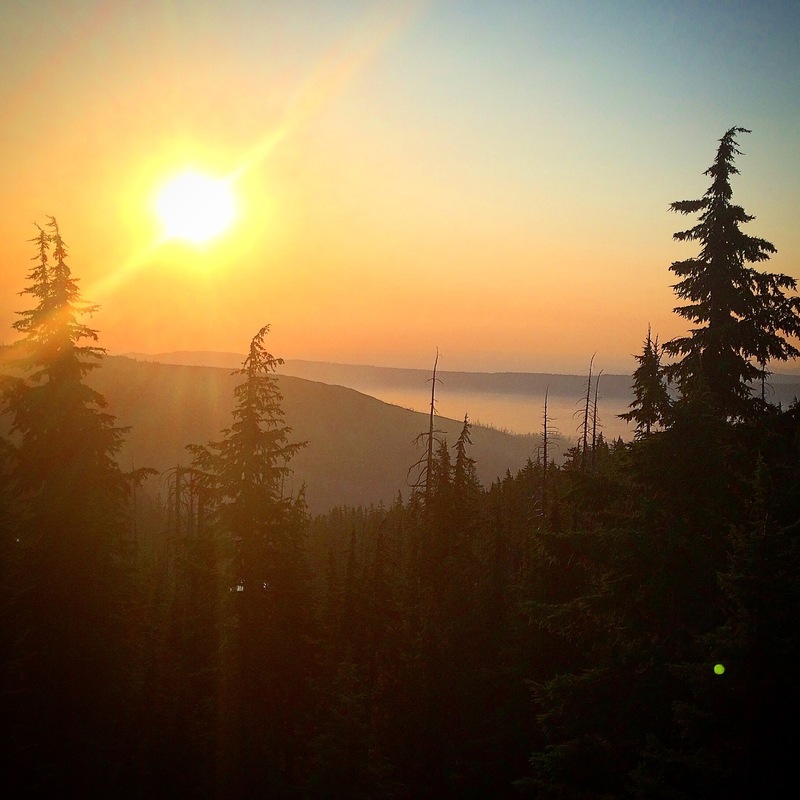 “The smoke isn’t too bad,” a day hiker reassured me, “I’ve seen it much worse…” They let the sentence trail off as their gaze swept across the smoky haze, which darkened all of the distant peaks. She was right, the smoke wasn’t too bad yet, but my lungs are the canaries in the coal mine, and they were already unhappy… Whenever anything messes with the air quality, my lungs let me know, and the smoke… it was definitely messing with the air quality and making them grumpy. Before I got to Rockpile Lake (just south of Mt. Jefferson) I’d been able to wait until I hiked out of the smoke to pitch my tent at night, so I’d get to sleep in a low-smoke environment, but dark was fast approaching and the smoke still hung thick in the air as I set up camp for the night at Rockpile Lake. 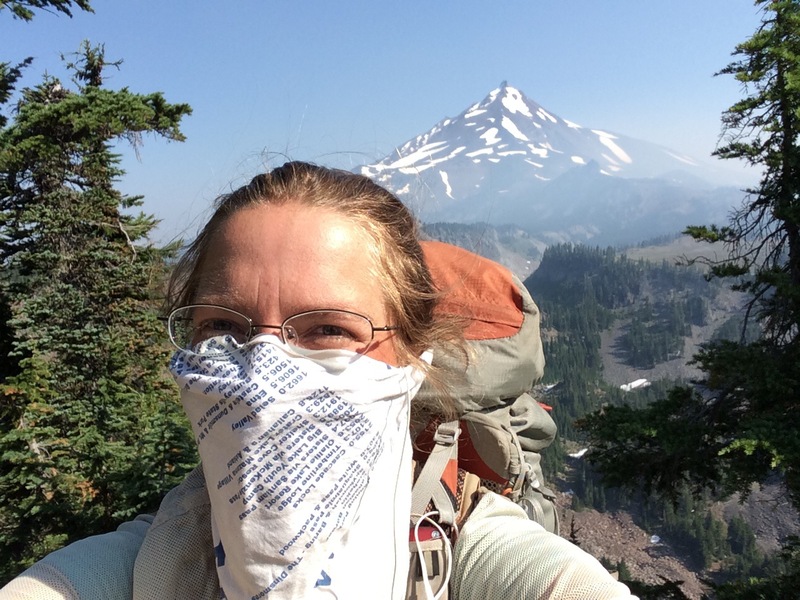 I wondered if I was going to need to sleep with my bandana on as a mask… I was already hiking with it as a mask during the day, and I hated it. After I set up camp, I went down to the lake to get more water… Still pouting about the smoke, I waded two or three steps out into the lake to where the water was clearer and suddenly I was surrounded by water monsters! They were roughly nine inches long, and looked like a cross between a horny toad and a salamander… I forgot all about the smoke, my asthma, and my water, as I dashed back up to my tent and grabbed my camera… I didn’t know what they were, but they were definitely cool! (It turns out they are the Pacific Giant Salamanders in their larval stage). Eventually my hunger was overpowering, and I had to stop watching the salamanders so that I could get water and make dinner, but by then my nose had tuned out the smell of smoke, and I forgot all of my smoke-related woes. I woke up the next morning with heavy lungs… I’d forgotten to sleep with my makeshift mask on. “It’s ok,” I reassured myself. I hadn’t taken my morning maintenance meds yet, they would help. I sat up and went through the normal routine… Take my meds (Advair, Flonase, Singulair, Zyrtec), pack up, and start hiking. As I headed up the trail I was greeted by an absolutely stunning sunrise (I was still glad to have the opportunity to enjoy some of the perks of the smoke) and an even thicker cloud of smoke than I’d encountered the day before… I decided that if I could smell the smoke I needed to use the odious bandana as a mask, especially since my nose still wasn’t working right. 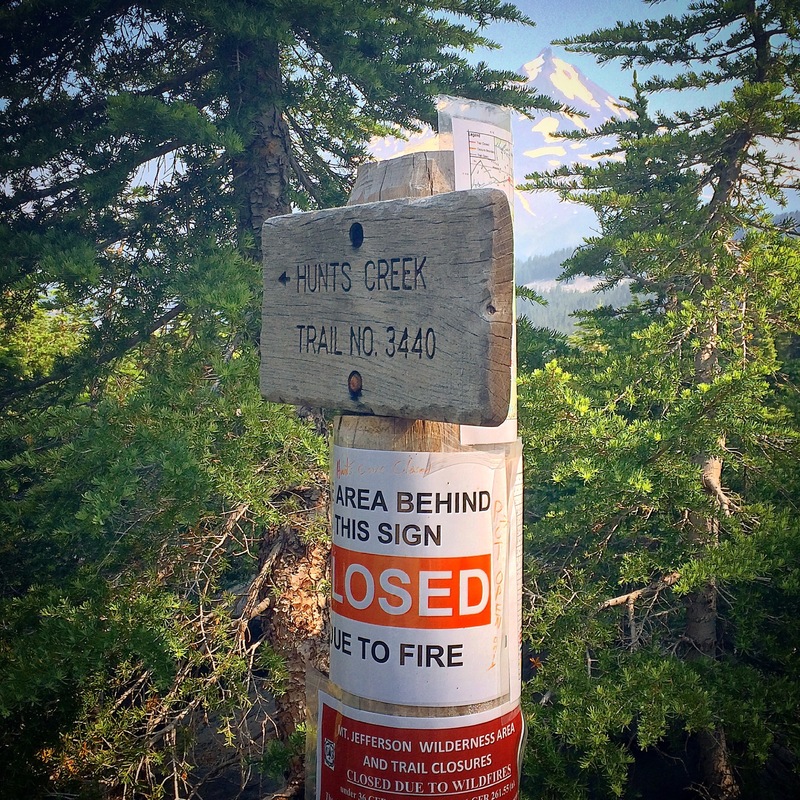 As I continued northwards, the side trails to the right, and to the left of me were all closed due to the recent (and ongoing) wildfires in the Jefferson Wilderness Area… With the trails on both sides of me closed, I wondered why the PCT was still open? I supposed it was because the trail wasn’t on fire… That was a good thing. I wondered if they ever closed the PCT due to excessive smoke? A few minutes later the breeze picked up, maybe the smoke was gone? It looked like it should be a nice day, with the wind fluttering through the leaves of the trees… I didn’t need the mask, right? Unfortunately when I lifted the mask up I was overwhelmed by smoke… I couldn’t ditch it yet. I started to worry… I was in a section of the trail that had been reopened for weeks, where the wildfires were supposedly under control, but I was headed into an area with active fire closures… Would the smoke be even worse there? Would the smoke last for days? Would it last from here until I got passed the closure? Sh**! My lungs could handle one day like this if I was careful, used my mask, used my inhaler, and took it easy… I could even manage the two days that it would take me to get to Ollalie Lake (the next place that I would hit civilization, and where the fire closure started)… But if it lasted longer than that I was going to have to make a decision… I would have to start taking prednisone so that I could walk through it, or I was going to have to hitch-hike north of the smoke. I didn’t like either option. I had a sudden flashback to my last year at work… Wearing an uncomfortable mask all the time, struggling to breath, but forcing my body to fight through it… I’d had a goal, I’d had a dream, and I’d used prednisone to help force my body into letting me live that dream, but at what cost? I’d known that the only way I could truly get healthy was to walk away… to remove myself from the situation… to go find a different dream… but it was a heart-wrenching decision, and there was a whole lot of no fun along the way. As I thought back on it, I knew that I couldn’t do that to myself again, not if I had a choice… I didn’t need to take the prednisone, I could solve the problem another way… I could hitch-hike past the smoke, but it felt like cheating, and I didn’t want to cheat… Knowingly heading into an incredibly smoky areas for days when you have asthma? That just wasn’t smart (even if I did start taking prednisone to keep my lungs in check). 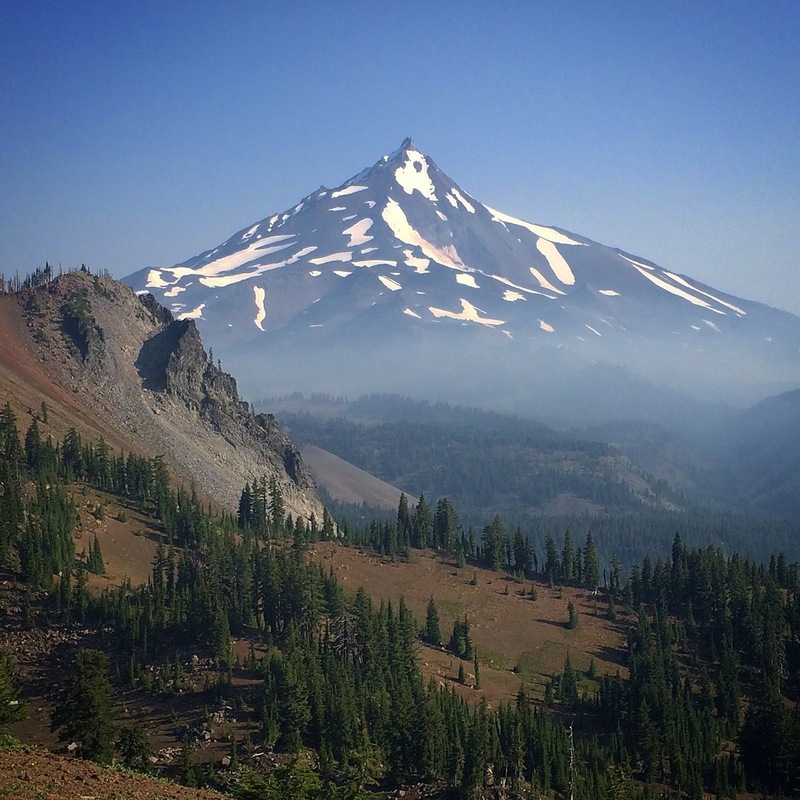 As the day wore on, the smoke showed no signs of clearing… It had been at least 20 miles of smoky, windy, plodding before I came around to the north side of Mount Jefferson and ran into a couple of southbound thru-hikers, “oh my gosh, where did all of this smoke come from? !” they exclaimed. “Did you come through a fire?” I explained to them that I hadn’t seen any flames, but that it had been really smoky for the last 20 or so miles. “Ah, that makes sense. 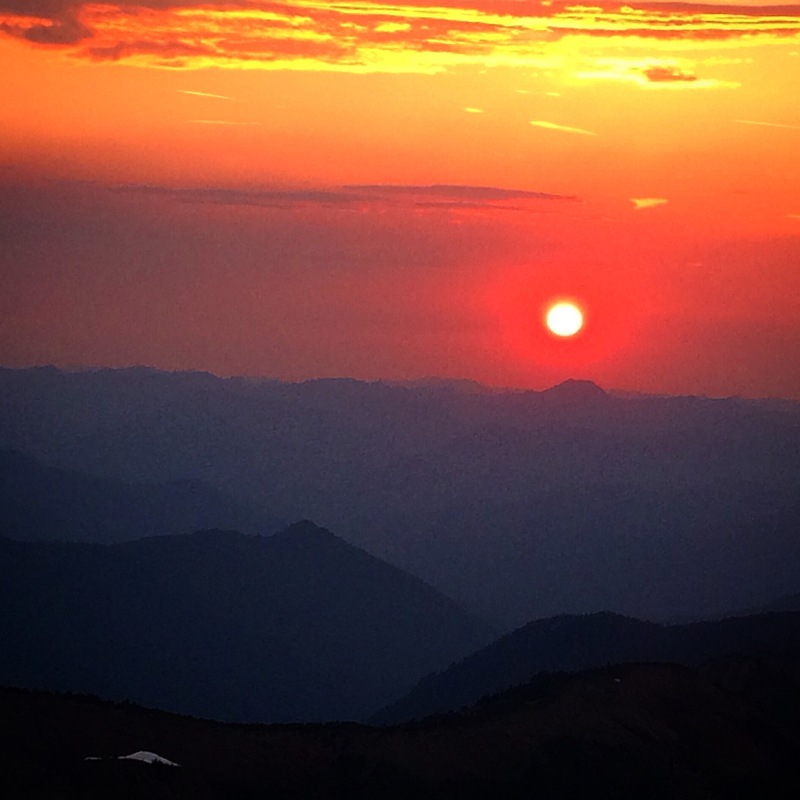 We’d heard rumors that when the winds picked up this morning the fires broke through the lines and headed towards the ridge the PCT runs along.” It wasn’t exactly reassuring news, but at least I was done with that section now. “How much longer does it stay smoky like this?” I asked. “We just rounded the corner and came into it, maybe 20 feet from here.” Just 20 more feet!!!!! I was overjoyed! I was beginning to think it was going stay smoky forever! Just 20 more feet and then I could ditch the stupid bandana mask, and my lungs would start getting happier… It wouldn’t be instantaneous, but, if there was no smoke, within a couple of hours I’d be able to breath normally again! “How was the smoke over in the closure area and in the areas north of here?” I continued almost gleefully. I was so happy I was almost bounced up the trail. I rounded the next corner and, sure enough, the smoke was gone. It seemed almost impossible… I’d been struggling with it all day, and most of the day before, but here I was, on the north side of Jefferson, and the smoke was gone! It felt so good to be free of the smoke and of my mask that I made it to Jefferson Park early, and had to remind myself that my lungs hadn’t had enough time to recover yet… I had to take it slow (at least for the rest of the day). As soon as I broke free of the crowds at Jefferson Park, I plunked down in the middle of a meadow and looked back at Mt. Jefferson. You could see the smoke billowing up and over both the east side of the mountain and the south side, but the winds were taking all of the smoke to the west. It was going to be a gorgeous sunset with all of that smoke on the horizon, but none of it was headed towards me, none of it was headed north. 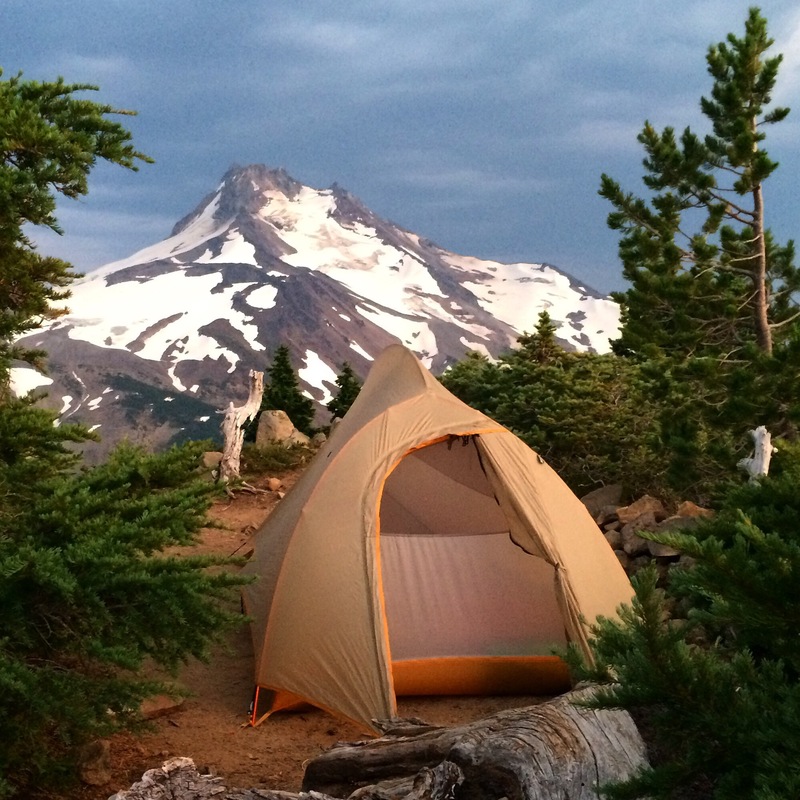 The trail was definitely a bit of a scramble, and it skirted a couple of snow fields, but at the top was one perfect little campsite… It had a west-facing view of the foothills, mount Jefferson was due south of it, and the sun would rise over the snowfields in the east in the morning. It was still a couple of hours until sunset, but this was the perfect place to kick back, relax, and let my lungs recover! 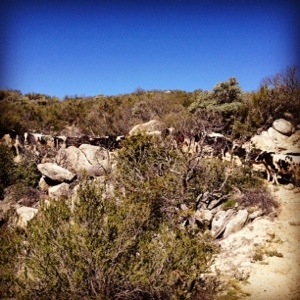 I rounded the corner and came face to face with a herd of cattle in the trail. Not one, not two, but a whole herd. In the trail. When I was on the AT I’d run into cows in the trail, usually one or two that I could walk around, or a whole herd in a pasture, but this was different. There was no way to walk around them, and there was no where for them to go except up the trail or down the trail. Two of the cows turned towards me and tried to stare me down. 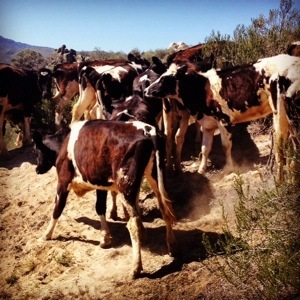 It looked like I was going to need to learn how to herd cattle… something that I’d never expected to do, but seemed sort of fitting out in this scrubby area of the desert. The herd did not respond in a cool and collected way. They started stampeding up the trail! I worried about what they would do if they encountered another hiker coming from the opposite direction? I hadn’t seen any southbounders so far and i hoped that trend would continue so I wouldn’t find out what the cattle would do with that kind of dilemma. 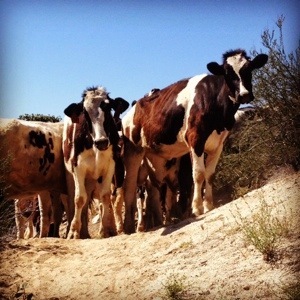 After the initial stampede, I gave the cows some subtly words of encouragement and before long I had them marching single file up the trail in front of me. I felt like maybe I could handle this whole cowgirl thing afterall! I held onto this new image of myself until I met a real cowgirl, Gillian. 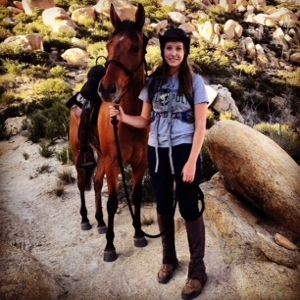 The PCT is approved for both human and equestrian thru-hikers and Gillian (check out her webpage) is working on a doing a thru-hike with her horses. I kept pace with her and her horses for a while and chatted with her about her adventures, but their pace of 3-4 miles per hour was a bit much for me (my comfortable pace on that kind of terrain is more like 2-3 miles per hour). After meeting Gillian, I relinquished my title and gave it to her. Headed off on here solo ride of the PCT she seems to epitomize the modern cowgirl to me! Food: Our ability to regulate blood sugar levels (glycoregulation). Water: Our ability to regulate water and minerals (osmoregulation). Shelter/Heat: Our ability to regulate body temperature (thermoregulation). I don’t have to be hungry. Middle-class privilege means that this is usually true for me. On the trail, as long as I plan appropriately this remains true. Being hungry won’t hurt me or interfere with my ability to function. I am hypoglycemic, so both on the trail and at home I need to be careful about what I eat. I’ve never had to try to sleep with hunger gnawing at my stomach. Middle-class privilege means that this is usually true for me. On the trail, I run calorie deficits so large that this is no longer true… sooo hungry. I know that if I need food other people will share their food with me. White privilege, middle-class privilege, and being a woman all probably contribute to the fact that this is a privilege I’m likely to get. On the AT this privilege becomes more obvious, and some people seem to rely on it. As long as the food I eat is fit for humans it won’t make me sick. Food allergies and intolerances mean that this is not a privilege that I can always rely on. I have enough body fat reserves to run a calorie deficit without compromising my short or long-term health. This is typically true for me. When I started the AT I was overweight and could definitely afford to run a calorie deficit and lose a lot of weight without compromising my health. As I head out to hike the PCT, I can’t rely on that nearly as much (see the science section below). There are stores accessible to me where I can exchange money for food. Middle-class privilege means that this is typically true for me. On the trail, there are not always stores accessible to buy food when I am hungry. Access is limited by the remoteness of my location. I know how much food and what kind of food I need to bring with me on a five-day backpacking trip. I have a lot of backpacking experience as well as access to resources that all allow me to have a good sense of what to pack for food and how to pack it. What I eat, how much, and/or how often is not something people make comments about. I think that this should be true, but it isn’t. I thought gaining thin privilege would make this true, but it didn’t. Do you get this privilege? My appearance and social standing are independent of my metabolism, what I eat, and how much I eat. On the trail this was true. The research that I use to determine how much food I should eat is based on people who look like me. White privilege means that this is largely true, however, most of the data is based on men and not on women. I don’t have to worry about where my next meal is coming from. Middle-class privilege means that this is usually true for me. On the trail, figuring where your resupplies are going to be and where your next meal comes from becomes more important. I can afford the healthiest, lightest weight food available. Middle-class privilege. Though all of the above are likely to influence the amount of food I pack and the type of foods I pack, there are some guidelines based on science that you can follow to help determine the minimum amount of food you should carry. The amount of food that you need to carry depends on the number of calories you are likely to burn during your trip. The military probably has some of the best research about calorie consumption while hiking (marching) over long distances on rugged terrain with a pack. They suggest that people engaged in prolonged physical activity (like backpacking) need to consume 4000-5000 calories per day and that those numbers are even higher for cold conditions. The numbers calculated for recreational backpackers (using the heart rate method of energy expenditure by Hill et al ) are similar to those determined by the military, suggesting that backpackers typically expend 5000 calories per day. Despite burning 5000 calories a day, most backpackers were only consuming about 2000 calories a day, which is consistent with what I observed among 2013 AT thru-hikers. Why don’t backpackers carry more food? Food is heavy. Most trail food is 100-200 calories/ounce, so to get 5000 calories/day you need to carry between 1.56 and 3.13 lbs of food per day. Assuming an intermediate calorie density and assuming that you want to maintain your existing body weight, you should be carrying about 2 lbs of food per day. So, assuming a five-day interval between resupply options, you should carry about 10 lbs of food. If there is significant probability that you will encounter detours, delays, or want ad hoc flexibility to extend the amount of time between resupplies, you may want to pack extra calories. If you have sufficient body fat reserves to healthily maintain a calorie deficit you can carry less weight in food. Most AT thru-hikers carried between 2000 and 3000 calories of food per day, which works out to be about 1 lb of food per day. On my AT thru-hike I ran a significant calorie deficit. I lost 50 lbs. Assuming that each pound of lost body fat is equivalent to 3500 calories burned, that means that I ran a net calorie deficit of 175,000 calories. Since I was on the trail for roughly 150 days, that works out to an average calorie deficit of 1167 calories/day. For my PCT hike, I can’t afford to run a calorie deficit that large. Based on my current weight I figure I can lose a total of 10 lbs (a net 35,000 calorie deficit) on my hike of the PCT without becoming unhealthy. Assuming that the trip takes 150 days (the same amount of time I was on the AT), I can run an average daily calorie deficit of 233 calories. As our calorie deficits on the trail climbed we put more and more effort into maximizing the calorie density of the foods we carried. Though the range of calorie densities for trail food was typically 100-200 calories/ounce, we all started to add more calorie dense items to our resupplies as we got further into our hikes. Which foods are the most calorie dense? Fats! (Here’s a list of the most calorie dense foods). Fats have 8.8 calories/g or 246 calories/ounce, and so high fat foods become very popular on the trail. To get more fat into my diet I carried things like Justin’s Maple Almond Butter (190 calories per 32 g or 166 calories per ounce) and packets of olive oil (240 calories/ounce). In addition to carrying more calorie dense foods, we tried to help make up for our on trail calorie deficits with calorie surpluses in town. Ice cream, pizza, oreos, doughnuts… all of the most calorie rich foods we could find we ate. Though fats are the most calorie dense foods, the runner up (Ethanol, at 7 calories/g or 196 calories/ounce) was incredibly popular in town. Using ethanol as your major source of calories has some significant downsides however, including (but not limited to) hangovers and dehydration. If you get dehydrated in town, you need to carry (or otherwise procure) more water on the trail and water is heavy (1 L is 1 kilogram, or 2.2 lbs)! In the next post I’ll discuss how privilege and science influence the way that I deal with water on the trail. Are there other ways that privilege and science influence your relationship with food and how much food you carry? Bullying and trying to shame people into reducing their pack weight is relatively new to the backpacking community (Does pack weight come from fear? ), but it has been commonplace in American culture as a way to try to motivate people to lose weight for decades. Though I’m sure (or at least hope) that the people who coined the term “pack weight comes from fear” were not intentionally tapping into the very sensitive issues surrounding size/weight-based prejudice, they stumbled into it anyway. Issues of bullying and weight shaming have bled over from mainstream America into my idyllic community in the woods and I don’t like it! Americans obsess about food and weight. According to Weight Watchers, a healthy weight for my height (5’10) ranges from 139-174 pounds, which is consistent with my internal metrics (I know that if I drop below 140 pounds, I become amenorrheic, which is a sign that I’m underweight). The CDC on the other hand suggests a normal range of 129-174 lbs. In the five months that I was on the trail I had gone from being over-weight (185 lbs and a size 16) to underweight (135 lbs and a size 3). When I returned to civilization I felt like a completely different person on the inside, and had forgotten that my outward appearance had changed too. My weight was often the first thing people noticed and wanted to relate to me about, not my experiences or my personal growth. I was surprised by how complicated my feelings about that were, both personally and culturally. Suddenly I had ‘thin privilege’… All of the women on TV looked like me, all of the food advertisements seemed to be saying that women should look like me, and people kept telling me that I was beautiful. None of it quite felt right though. I definitely was not at a reasonable long-term stable weight for me. At first it seemed laughable to think that people would look at me and think that I was. It was ridiculous! But then I realized that I was the weight that the media was telling me I should be: I was the weight where everyone on TV looked like me. Suddenly I wasn’t laughing anymore. I was horrified. This was compounded by the fact that I knew I was underweight and people were already starting to shake their heads and make comments like, “You better start watching what you eat or you’ll gain it all back!” It was incredibly unnerving. Though I enjoyed the privilege and praise that came with being thin, the message that I needed to be careful if I wanted to keep my new found privilege was coming through loud and clear. Being a size 3 meant thin privilege, but would I get to keep that privilege at a healthier, more stable weight? I wasn’t sure. What I do know is that whether I am underweight or overweight, what I was eat, how much, and how often is a topic of conversation whether I want it to be or not. Typically when I am heavier, the comments are more critical and less positive than when I am lighter. Being heavy, overweight, obese or fat in America, “is associated with being ‘lazy, ignorant, hated, ugly, weak, and lacking in will-power.’ As a result, ‘fat’ isn’t a description like tall or redhead – it’s an indication of moral character: fat is bad.” According to the CDC, 35.7% of American adults are obese (having a BMI or body mass index greater than 30) and many more are considered to be overweight (BMI greater than 25 but less than 30). Given the stigma associated with weight and the large number of people that are considered to be overweight or ‘fat’, it’s not surprising that many people in our culture are sensitive about weight issues. Is it reasonable to be concerned about the health risks associated with being overweight or obese? Yes. Does weight discrimination help people evaluate and improve their health? No. Weight discrimination can make it even harder to navigate the health care system since doctors respect their patients less as their weight (BMI) goes up. Is weight shaming an effective way to motivate people to lose weight and to combat America’s obesity epidemic? No. “Weight discrimination, which is often justified because it is thought to help encourage obese individuals to lose weight can actually have the opposite effect: it is associated with the development and maintenance of obesity,” (according to findings published in 2013 on PLOS ) and discussed in the Huffington Post. Hikers obsess about pack weight. Just like Americans seem to have a pathological obsession with body weight, backpackers are obsessed with pack weight (See my previous post: “Does pack weight come from fear?”). Is it reasonable to be concerned about the weight of your pack? Yes. Should we adopt pervasive American attitudes about body weight and apply them to pack weight? No. Like body weight, there is no single number that you point to and say that it is an ideal weight that all people should strive towards in all conditions. However, we can use science to help define a reasonable range of pack weights that people can then tailor to their individual needs. The upper limit of pack weight that you should carry is defined by human structural load carrying capacity. The US Army Science Board in a study suggests that 50 pounds is the maximum load that should be carried by a soldier for any length of time based on physiological constraints and musculoskeletal concerns. In addition to a cap of 50 lbs, the optimal backpack load for soldiers in combat has been determined to be 30% of their body weight. Research in recreational contexts suggests a similar threshold for pack weight of of not more than 30% of body weight. Based on these studies, the maximum pack weight you should carry is 30% of your body weight unless you weigh 167 pounds or more, at which point you shouldn’t carry more than 50 pounds (note that the % body weight calculations are based on an individual’s ‘fit’ weight or ‘ideal’ weight). The lower limit of pack weight or “base pack” weight (defined as pack weight excluding consumables eg food, water, and fuel) is currently established by experienced ultralight backpacking enthusiasts like Ray Jardine (who pioneered the ultralight movement in 1992) who are able to get their base pack weights below 10 lbs. Food and water then get added to the base pack weight depending on availability and local resources. For most people, a reasonable pack weight is somewhere between 12 and 50 lbs, but will vary with personal experience, financial constraints, and the science of survival. In the next three posts I’m going to discuss how the science and privilege around these requirements influence the way I pack my pack and hike my hike. Does pack weight come from fear? The catchphrase “pack weight comes from fear” (Ultralight hiking in Yogi’s Pacific Crest Trail Handbook, p.66) is gaining popularity in the backpacking world as a way to motivate people to “lighten up” and it is driving met nuts. If you had to choose between packing your pack fearfully or fearlessly, which would you choose? I cringe when I imagine novice backpackers hearing that “pack weight comes from fear” as they accept the unspoken challenge to “live their lives without fear” and dump out the contents of their packs before marching off into the wilderness. In 1933 Franklin D. Roosevelt said, “Let me assert my firm belief that the only thing we have to fear is…fear itself — nameless, unreasoning, unjustified terror which paralyzes needed efforts to convert retreat into advance.” With those words, he established a new definition of fear in the American psyche. The connotation of fear suddenly became unbalanced and strongly skewed towards irrational fear. Assuming the popular definition of fear, my pack weight definitely does not come from fear, and I don’t want other people to assume that it does. “If you fear being cold, you’ll carry more clothes,” the handbook continued. “If you fear being cold, you’ll stay home!” I grumbled. “If you want to be more comfortable, you’ll carry more clothes,” but it was more than just that. “If you don’t want to die from hypothermia, you’ll carry more clothes.” Hypothermia is a big deal and under-preparing for the cold is a mistake that people on the trail die from each year. “If you fear going hungry, you’ll carry extra food.” “No,” I grumped, “that’s not why you carry extra food! If you don’t want to run out of food and impose on other hikers, you’ll carry extra food.” I’d gotten tired of the infamous moochers on the trail that would consistently run out of food one or two days before town and look to the rest of us (with sorrowful eyes) to bail them out and share our meager supplies. The handbook wasn’t done yet, “If you fear floaties in your water, you’ll carry a filter.” Are floaties something that people actually fear? No. “If you dislike being sick, you’ll carry a water filter or some other way to purify your water.” Water contaminated with bacteria or parasites (e.g. giardia and e. coli) can give you the runs, make you miserable, and force you off of the trail (the EPA has a nice report about giardia and drinking water here). My experience with giardia (acquired in the 100 Mile Wilderness in Maine) was absolutely no fun. “If you fear bugs, you’ll sleep in a tent (p. 66),” the guidebook finished. “Hrmph,” I don’t carry a tent because I fear bugs. “If you want shelter from the rain, wind, and snow, you’ll sleep in a tent.” Even though I don’t fear bugs, I do fear some of the diseases they carry, “If you fear Lyme Disease, Eastern Equine Encephalitis, West Nile Virus, Malaria, and yellow fever, you’ll carry DEET, bug nets, long pants, and long-sleeved shirts, or maybe you’ll just stay home!” Lyme disease in particular affected at least five of my thru-hiking friends in 2013 and forced them to take time off from the trail. Lyme Disease was definitely something I feared, so I constantly checked myself for ticks and tried to keep myself, my pack, and my tent out of the tall grass (check out what the CDC has to say about Lyme disease here). At the end of the paragraph I grumpily put the book down and tried to figure out why the idea that “Pack weight comes from fear” had touched such a nerve. It implied that the reason my pack was heavy was because I was irrationally afraid of cold, hunger, floaties, bugs etc. Was that the reason that my pack was heavy? No, it wasn’t and it wasn’t ok for people to assume that it was. My pack weight came from a combination of the things I needed for survival, the things I wanted for my comfort and enjoyment, and the experience to know the difference; experience that I had gained hiking and backpacking thousands of miles over more than 20 years in all kinds of conditions, all over the world. Have I perfected my pack yet? No, but that’s because I’m still learning (and always will be) and improving on things, not because I am afraid. Have I gotten really tired of people giving me unsolicited advice about my backpack as they point out their smaller, lighter, and clearly (to them) superior packs? Yes. Will this be even more irritating if people assume that my pack weight comes from fear? Yes! If people start assuming that my “pack weight comes from fear” then they are likely to dismiss my rational/experience-based assessments of risk and gear without bothering to have a real conversation with me about it first. Even though I really enjoy geeking out about my gear (and gear weight), I would like it if the conversation at least started by assuming that everyone involved was equally experienced or otherwise on equal footing. Having yet another hurdle to jump before people are willing to take me seriously and converse with me, instead of just lecturing or mansplaining things to me was not something I looked forward to. The emotional milieu of fear, judgment, dismissal, and disrespect surrounding issues of size and weight suddenly felt awfully familiar. It felt like bullying. It felt like weight shaming. “Pack weight comes from fear,” was forcing people to justify every pound and every ounce of their pack weight so that they wouldn’t be judged as inferior, weak, or afraid just because they had a heavy pack. The metaphor between pack weight and our societies pathological obsession with body weight leapt out of the page and lunged at me. I tried to reign in my thoughts and save that rant for another post. 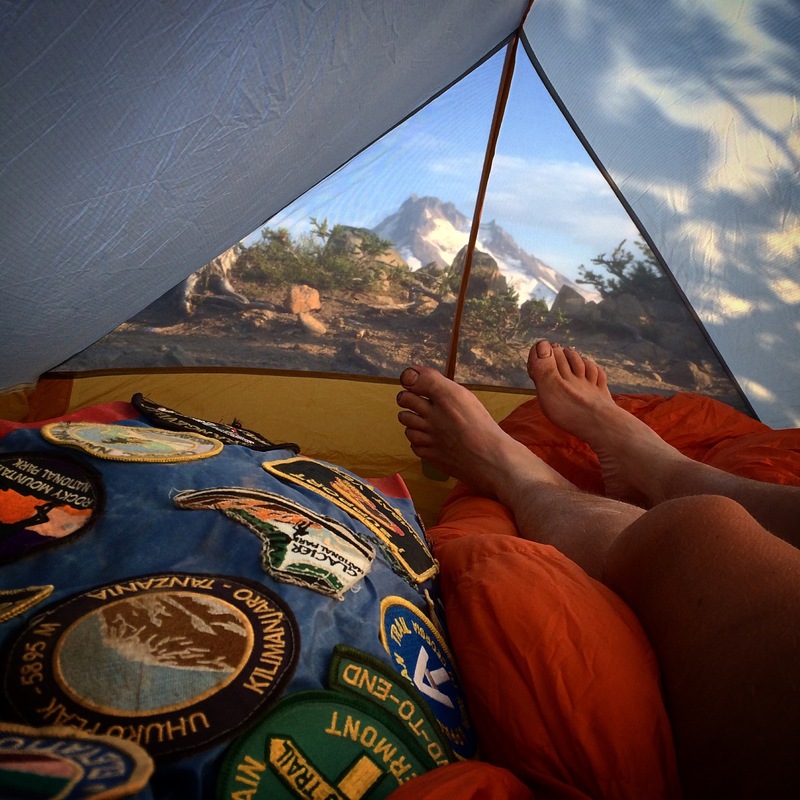 How much privilege (white privilege, middle class privilege, male privilege, thin privilege, first world privilege) is embedded in backpacking and in a comment like, “Pack weight comes from fear?” A lot. If you have a lot of money do you have access to lighter, less bulky equipment? Yes. Perhaps then we should say “pack weight comes from money.” Is the threshold temperature at which men and women become cold different? Yes (See the EN ratings for sleeping bags and compare Tlim(men) and Tcomf(women)). Does this mean women have to carry more gear (which weighs more) than their male counterparts? Yes. So, perhaps we should say “pack weight comes from gender.” Argh! I was getting even grumpier as I thought about backpacking and privilege. There are ways that being on the trail changes our relationship with privilege, but there are definitely ways that it does not. I’d stumbled onto yet another topic that I had lots of things to say about (fodder for yet another post). I had to stay focused though, I wasn’t quite done with talking about “pack weight comes from fear,” and how dangerous that concept could be for inexperienced or novice backpackers. Without experience how do you know which things you need to ensure your safety, which things you carry because they make you comfortable, and which things you carry because of irrational fears? The short answer is that you don’t. Most novice backpackers carry a lot of things that they don’t need and end up like Bill Bryson in “Into the Woods” and Cheryl Strayed in “Wild,” with huge overstuffed ‘monster’ backpacks. Providing novice (and experienced) backpackers with advice about how to eliminate unnecessary weight from their packs is a noble goal, but we shouldn’t be trying to motivate people by making them feel ashamed about their packs or their weight. How do you figure out what the healthy range of pack weights is if you don’t have any backpacking experience yet? The engineer and physiologist in me suddenly had a new mission; to compile the research about physiological and mechanical boundaries for pack weight (both high and low) instead of relying on ranges based on hearsay and fear mongering (the idea for yet another set of posts was born)! If pack weight doesn’t come from fear, what does it come from? It comes from the things we’ve learned from: society, privilege, exposure to other hikers/backpackers, experiences with the wilderness, and experiences with our bodies/health. Though it’s an ongoing process, with enough experience, backpackers learn the difference between what they need to survive, what they want for their comfort and entertainment, and how to make compromises between the two to lighten their loads. By the time my rant about “pack weight comes from fear,” started to wind down it was way past my bedtime and I was exhausted. Quietly, a quote from the movie Donnie Darko came to mind, “As you can see, the Life Line is divided into two polar extremes. Fear and love. Fear is in the negative energy spectrum. And love is in the positive energy spectrum,” and I laughed to myself. Making the assertion that “pack weight comes from love,” sounded just as ridiculous to me as “pack weight comes from fear.” Sure, it eliminated much of the negative spin, but it still didn’t encourage a rational discussion about how we pack and unpack our packs. Sony NEX-5N with the 18-55mm/ f3.5-5.6 OSS lens. Overall thru-hike review: 9/10. It was a bit heavy by thru-hiking standards (weight: 7/10), but seemed to be the perfect compromise between the much bigger, heavier, and more expensive DSLRs and the smaller (but poorer photo-quality) standard point-and-shoots. I was a little concerned about how it well it would do when faced with the brutal treatment and conditions I knew I was bound to subject it to on the trail, but it held up impressively well (ruggedness: 10/10). I carried that camera from Georgia to Maine and used it every day! The battery life was also really good. If I used it exclusively for pictures it easily lasted me 5-7 days between recharges, using it for video sucked up much more battery, but was not the way that I usually used the camera (battery life: 9/10). I had only two complaints about it on the trail, 1) I didn’t feel comfortable using it in the heavy rains that I experienced fairly often (waterproofness: 6/10) and 2) the 18-55 lens didn’t give me enough zoom to take good, high quality photos of the wildlife that I encountered along the trail (zoom: 7/10). Overall I loved the Sony Nex, it was easy to use, relatively convenient, and allowed me to take the kinds of photos that I wanted to document my trip with (Check out the series of photobooks, Parts 1-5: Walk it Off that I made after returning from the trail, they pair the photos I took with the Sony Nex-5N with the blog posts that I made for the same days). Overall thru-hike review as a camera: 6/10. The iPhone was convenient for taking pictures and sharing them on my blog and on facebook whenever I got to town (10/10). The size of the phone and the fact that I used it for multiple purposes also made it incredibly convenient (10/10). Some of the downsides to using my cell phone as my camera were that the photo-quality wasn’t nearly as good as the Sony Nex (5/10), and it took a long time to boot up if I had it powered down (5/10). Leaving my cell phone in airplane mode allowed for better response time, but drained my cell phone battery more quickly (6/10). If it was raining and I wanted to take a picture, I used my cell phone camera. The only technical problem that I had with the iPhone was early in the trip (my first week in Georgia) when I discovered that it didn’t power down correctly, which drained the cell phone battery really quickly. After contacting Verizon, they sent a replacement phone to my next maildrop. The replacement phone lasted me for the rest of the trip to Maine. Overall thru-hike review of the iPhone 4S as a phone: 10/10. Though my iPhone didn’t get great reception everywhere on the AT, it had good coverage for most of the tip (typically much better coverage than other providers). Keeping the phone in airplane mode, I was able to use it as a quick and easy camera without draining the battery too much. I also used it to send and receive text messages and to write my blog posts from town. I even used it as an mp3 player occasionally when my radio died. Overall it stood up to the wear and tear of the trail and functioned admirably. Which Camera should I use for the PCT? Making my camera gear a rival for the heaviest thing in my pack! Katahdin. The first time I climbed Mt. Katahdin was in 1991 (the year many of my thru-hiking peers were born) and it was a little bit surreal. We hiked out of 100 mile wilderness and were told that there had been a coup in Russia, and that Hurricane Bob was on track to hit New England that night. We didn’t believe the rumors at first, a coup in Russia? They must have been kidding. A hurricane hitting Maine? I didn’t even know that that was possible. Sure enough, the news was all true and we were the only people in the campground that night. My dad battened down the tent trailer and we spent a nerve wracking night listening to the ping of bungee cords as the high winds tried to undo all of my dad’s hard work. The next morning we set off to climb the rivers that all of the trails had turned into overnight. One thing was for sure, climbing Mt. Katahdin is always a memorable experience and I’ll never forget my first ascent of that mountain. Coming out of the 100 mile wilderness this time I was also met with bizarre news: the US Government had shutdown. At first I didn’t believe it, the US government shut down… What did that even mean? Many of my friends had left messages wondering if the shutdown was going to effect my hike. Luckily, Mt. Katahdin is in Baxter State Park in Maine, so the feds weren’t involved and the shutdown wasn’t going to get in the way of my final summit attempt. In the northern part of the 100 mile wilderness we got our first glimpses of Mt. Katahdin in the distance. It was hard to believe that the end of this incredible journey was in sight. I’m pretty sure that I would have delayed and stayed in the 100 mile wilderness until all of my food ran out to make the trip last longer if it weren’t for the pesky weather forecast that I saw before entering the wilderness. We were incredibly lucky to be getting gorgeous fall weather with temperatures in the 70s during the days and 40s at night, but all of that was going to change. 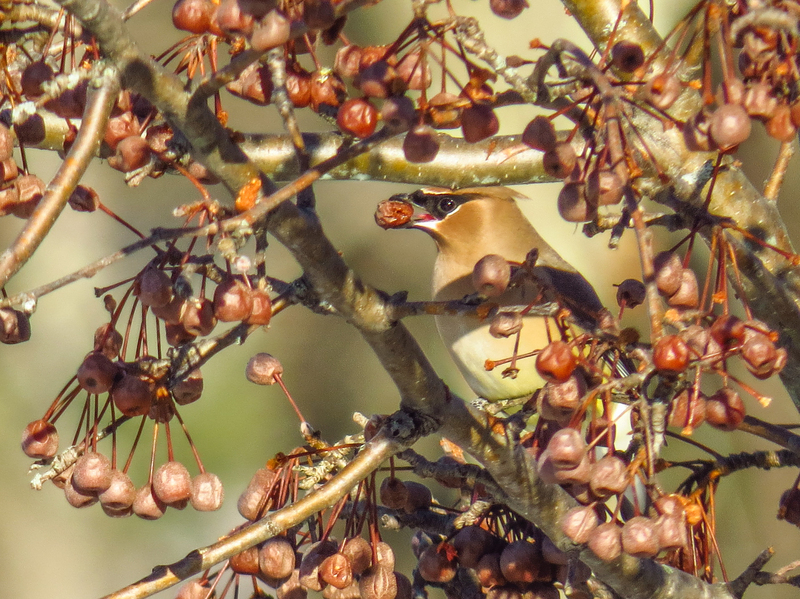 The forecasts were predicting rain, combined with colder temperatures, for the coming weekend (highs in the 40s, rain showers, and gusty winds). If I had a choice, I definitely didn’t want to climb Mt. Katahdin in nasty weather, so I planned my ascent for Friday October 4 (the day before the weather was supposed to turn bad). The night before I summitted Mt. Katahdin felt a little bit like Christmas Eve, a little bit like the night before my Ph.D. thesis defense, and a little bit like the last time I walked through my first house before handing the keys over to the new owners. Like Christmas Eve, the air was full of excitement and expectations. I was finally sleeping at the base of Mt. Katahdin and the weather forecast for the next day was perfect! Sunny and in the 60s, who could ask for better weather in October in Maine? Like the eve of my thesis defense, I knew that I had already done all of the hard work and, if anything, I was over prepared for the final test ahead of me, yet I was still full of trepidation. For me, hiking the AT was really about the journey. 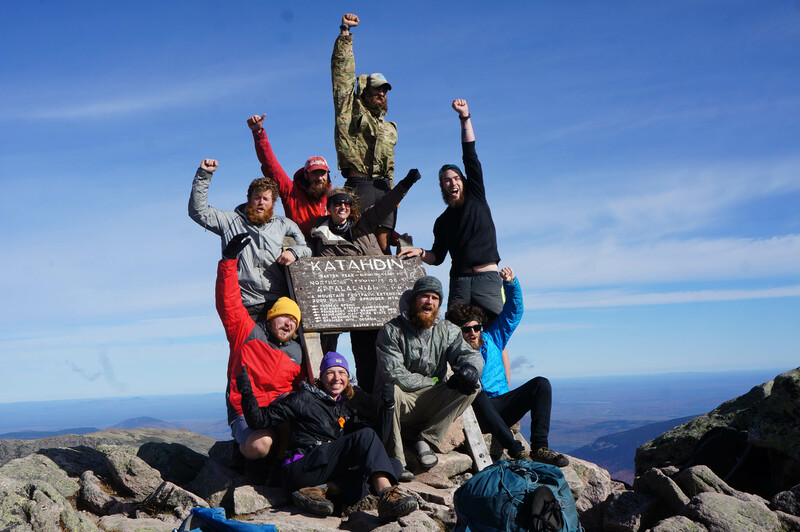 Getting to the summit of Katahdin was just the crowning moment: symbolic of the tremendous work, experience, and joy that went into getting there. Yet even though I’d hiked over 2100 miles and countless mountains to get there, I couldn’t help but worry that something (like breaking a leg) might happen in the final five miles and prevent me from reaching the summit the next day. Like leaving a home, I was mourning the passing of an era, and was both looking forward to, and slightly nervous about, the uncertainty of my next steps. I set up camp for one last time. I went down and got my drinking water from the beautiful burbling brook one last time. I filled my alcohol stove and lit it one last time. I ate one last Mountain House meal. Suddenly all of the mundane tasks that I had done every day for the last five months became loaded with meaning because I was doing them for the last time on this trip. At hiker midnight (7 pm) I crawled into my cozy sleeping bag for one last time. I was going to miss this crazy adventure and this crazy life. As I lay there I chatted with Eli and Rachel (two thru-hikers that had started at Springer Mountain the day before I did, and that I’d known since Damascus, VA). We talked about our excitement, our trepidation, and how much we were going to miss this life. I enjoyed the camaraderie of my fellow thru-hikers. Even though we hadn’t hiked that many miles together, we’d spent the entire trip within days of each other, and we were all going through the same crazy mix of emotions sitting there on Katahdin eve. The friendships and camaraderie were yet another thing that we were both grateful for, and mourning the loss of. 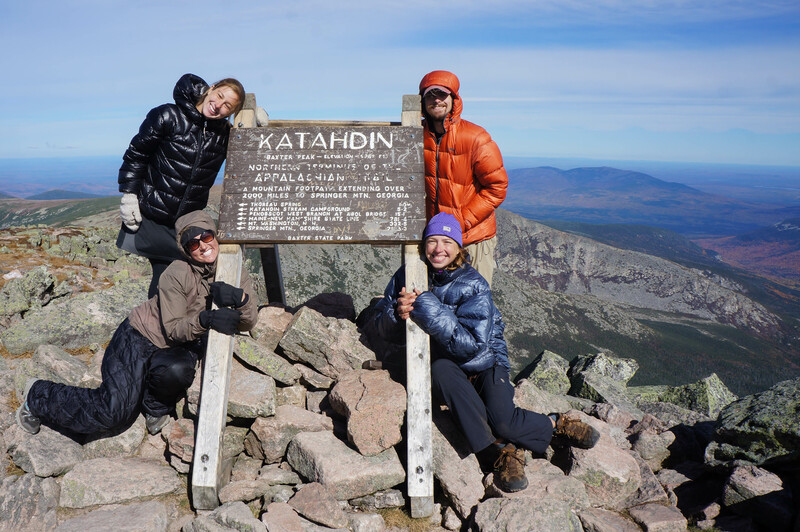 Rachel and Eli would be climbing Mt Katahdin for the first time, and were excited about the unknown beauty of the mountain in addition to being excited about the culmination of their adventure. Rachel figured that she would be overwhelmed with emotion and cry at the summit. Eli was convinced that he would not. I’d hiked Mt. Katahdin at least three times before and didn’t think that climbing Katahdin itself would be that big of a deal for me, but I was still excited about the culmination of my epic adventure and I was fairly sure that I wasn’t going to cry at the summit; I hate crying. We woke at dawn the next morning and, as promised, the skies were clear. It was a gorgeous day, though still a bit chilly, as we set out. Eli, Rachel, and I decided to hike together. My friend Hotshot had headed out about half an hour before we did, and Twigs, Homeward Bound, Shady, Green Blaze, and Wyoming were all awake and packing up. I was glad that I was going to be able to summit with an amazing group of old (by trail standards) and new friends. The fall foliage was at it’s peak and we were rewarded with spectacular views after just a short amount of hiking. Though the trail was initially smooth and easy, it quickly turned steep and rocky as we climbed up the ridge towards the headwall (the gateway), the tablelands (the plateau right below the summit), and ultimately the summit itself. As we got above treeline the winds picked up, and in the early morning shade it felt chillingly cold. The stretch of trail approaching the tablelands provided us with a challenge and was probably the steepest and most exposed trail we’d encountered on the entire AT. It was an exhilarating climb up to the gateway and the tablelands, and from the tablelands, you got a spectacular view of the lakes and foliage below and of Mt. Katahdin looming up above us. Even though I’d climbed Katahdin before, it felt entirely different this time. This mountain was impressive and has a majesty that I doubt could be diminished even if you climbed it 1000 times. I walked ahead of Eli and Rachel a little bit, wanting some time alone to take it all in. As I walked across the tablelands towards the summit of Mt. 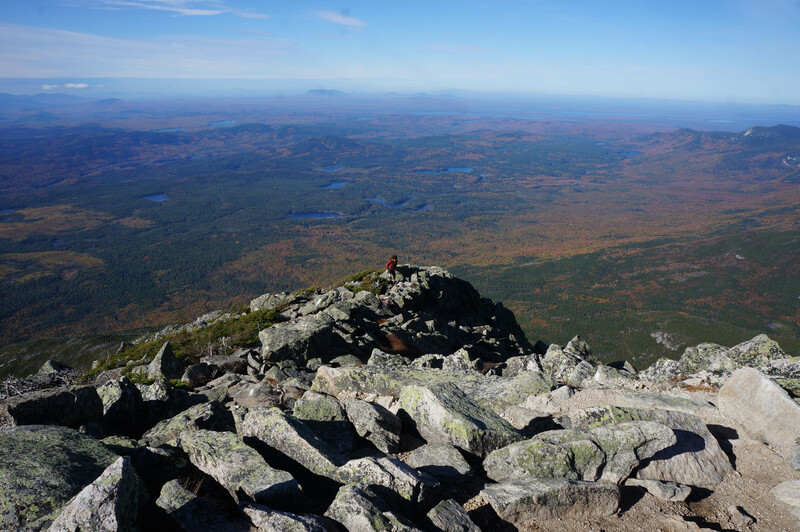 Katahdin I was overcome by emotion and tears dampened the corner of my eyes. I gave up on trying to squeeze back them back, and just let them come. Why on earth was I crying? I wasn’t even at the summit yet! But I was there, so close that I could touch it, that I could crawl to it if I sprained my ankle or broke my leg… so close that I no longer had to protect myself from the fear that I might not make it. I was going to make it. Though I’d never really doubted that I’d make it to Katahdin, I’d never really allowed myself to believe it either. As that wall came crashing down and I finally allowed myself to believe, to know, that I was going to reach the summit, the tears came. There had been so many things going against me from the start, so many people that had told me that I wasn’t going to make it, but here I was, finally within reach of the summit of Katahdin. I was going to make it. I thought about my asthma and how when I left Boston I’d had trouble just climbing my stairs, how I’d had to sit on the floor of the bathtub because I couldn’t stand to take my showers, how I couldn’t even walk across Boston Common, yet here I was, 2000 miles later, conquering mountains. I thought about the labral tear in my hip and the constant pain it caused me at the beginning of the trip, and about the orthopedists saying that they didn’t think I would make it. 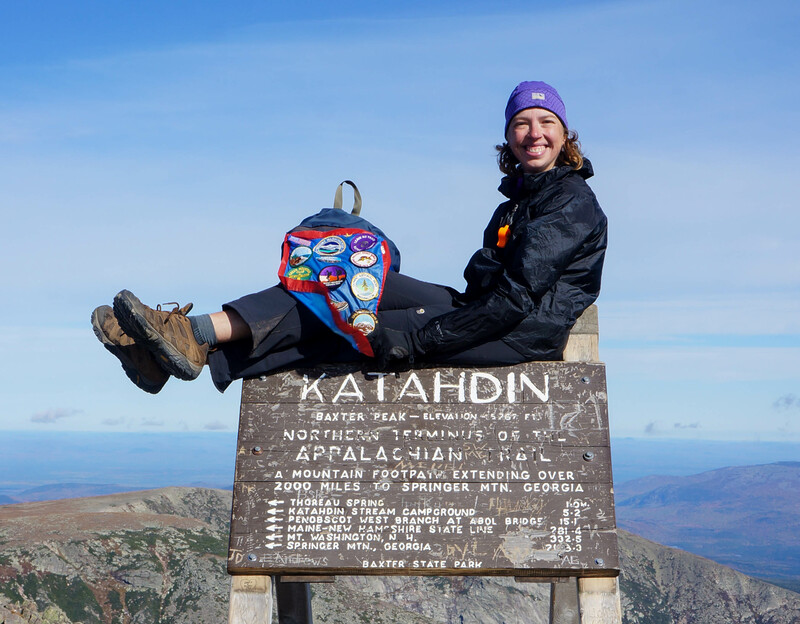 I thought about how I got a late start (May), and how I had to have faith that even though I couldn’t hike far or fast at the beginning of the trip, that I would speed up and that I would beat the clock, catch up to the rest of the thru-hikers, and summit before Katahdin closed. Now that I knew that I was *really* going to make it, I could also admit that I was not just doing this hike for myself, but also for all of the people that I love/d that couldn’t/can’t do it. I cried and grieved for the dreams and the people that I’d lost, and I cried for the dreams and the people that I have. I cried with the sheer intensity and immensity of it all. After a few minutes I turned around and saw that Rachel was crying as she hiked up the trail too. We gave each other permission to cry, and we stood there hugging and crying on the tablelands. 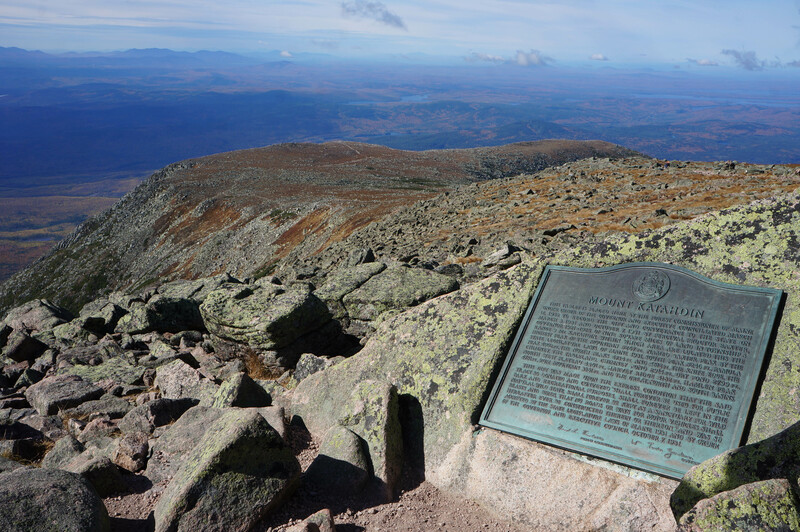 We were here, we were on Katahdin, we’d made it, and we’d proved all of the naysayers wrong. 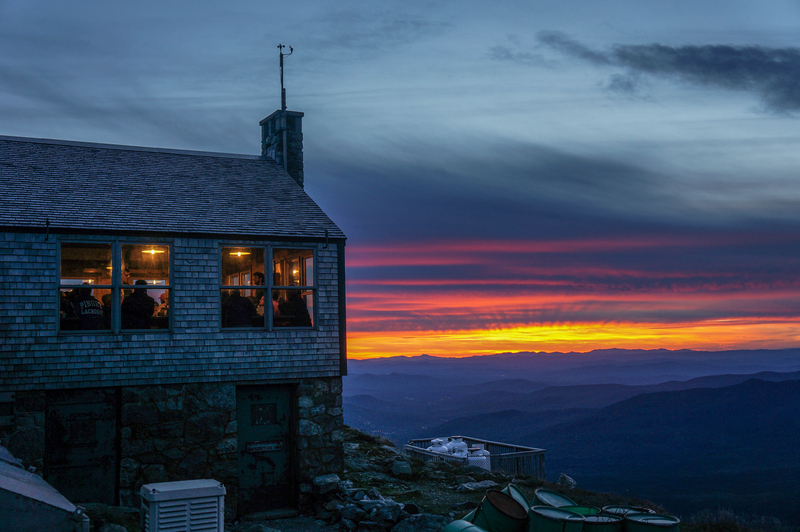 All of the thru-hikers that start in May (the other thru-hikers call us Mayflies, May because we start in May, and flies because we fly up the trail the so fast) know that they are in a race against the clock because Baxter State Park closes on October 15. Day hikers up and down the trail seem to know about the deadline for Katahdin and feel the need to inform us that we can’t possible get to there in time given where and when they see us. It is incredibly annoying and, even when you know that they are wrong and that you can make it, it still hurts and can be demoralizing. It is especially hard since we get these kinds of comments not just from a couple of people, but from lots and lots of people. I didn’t count the number of people that told me that I was late, that I was going to have to pick up the pace, or that I just plain wasn’t going to make it, but the number was probably between 50 and 100. Even though the number of people saying that decreased as I headed into New England, even in New Hampshire I was still running into naysayers. I tried to downplay their doubts and reassure myself that they were wrong, but sometimes it did get to me. I think that after we summit, the mayflies all have a part of ourselves that screams, “I told you so!,” and celebrates the fact that we proved all of the idiot naysayers wrong. (Congrats to the Mayflies that summitted with me: Hotshot, Eli, and Rachel and to those that summitted that same week, especially Chuckwagon, Indy, the Voice, Rabbit, and Sir Stooge). By the time I got across the tablelands and up to the summit my tears were all gone, and I was ready to celebrate the amazing accomplishment of being there, at the summit, with my friends. I got to the summit just in time to join in on a group summit photo with Hotshot, Twigs, Homeward Bound, Greenblaze, Shady, Wyoming, and Bojangles. After the group photo Eli and Rachel joined us and we all sat in the sun on the summit relaxing and taking turns posing with the sign. Everyone was smiling and laughing and enjoying the incredible weather, the incredible views, and the culmination of an incredible journey. It was an amazing feeling to be surrounded by so many people brimming over with such positive emotions. We’d made it. We were on top of Katahdin. We were thru-hikers. The day hikers cheered for us, and we cheered for each other. This had been a dream for all of us, and this is what happens when dreams come true: a moment of true bliss, frozen in time, captured in our photographs and in our minds, on the top of a mountain and on top of the world.